Jam-packed with the silliest of animals, this bestselling rhyming story will have the youngest of readers in fits of laughter! Can't get enough? Look out for Oi Dog!, available now, and Oi Cat!, coming out autumn 2017. 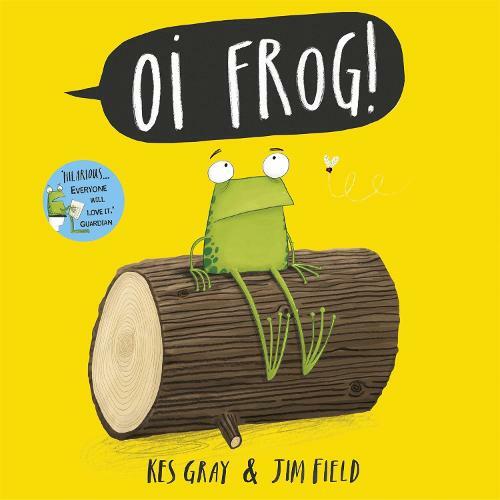 From the award-winning Kes Gray and the winner of the Roald Dahl Funny Prize, Jim Field, comes an hilarious rhyming tale about a frog who discovers that all animals have their special places to sit! Kes was voted by The Independent as one of their top ten children's authors and he is the author of the award-winning Eat Your Peas and winner of the Red House Children's Book Award. Jim's first picture book Cats Ahoy! won the Roald Dahl Funny Prize. Come along and join as we read these hilarious rhyming tales by Kes Gray. thefamily love this book; the rhymes are fun and memorable and the illustrations are great and amusing. (And very worthy of your money).